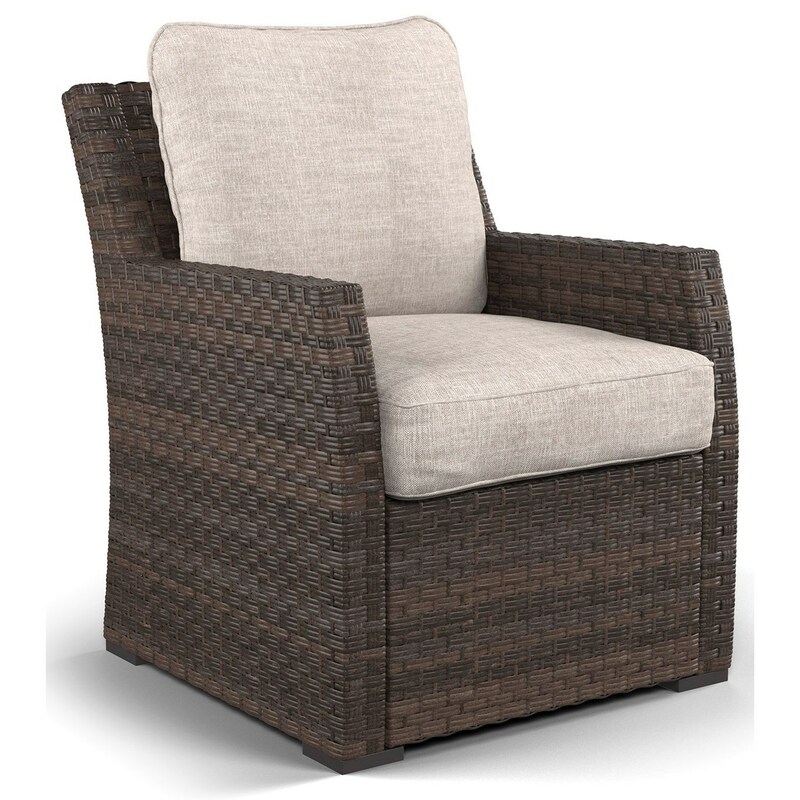 This outdoor lounge chair with a cushion seat and back features durable beige Nuvella™ solution dyed polyester fabric. It is constructed with an aluminum frame with resin wicker in a brown finish. The Salceda Outdoor Lounge Chair with Cushion by Signature Design by Ashley at Sam Levitz Furniture in the Tucson, Oro Valley, Marana, Vail, and Green Valley, AZ area. Product availability may vary. Contact us for the most current availability on this product. Construction Aluminum frames are powdercoated. Resin wicker. Easy-going contemporary style with brown finish resin wicker pieces available from this collection offer versatile function to your outdoor living/dining space. The Salceda collection is a great option if you are looking for Contemporary Outdoor Furniture in the Tucson, Oro Valley, Marana, Vail, and Green Valley, AZ area. Browse other items in the Salceda collection from Sam Levitz Furniture in the Tucson, Oro Valley, Marana, Vail, and Green Valley, AZ area.